Late one night I was cruising the internet and reading box reviews. There are ladies who dedicate their entire blog to subscription boxes. I can only imagine that their mail boxes are bursting with fun. Their blogs have become a good resource and provide insight on which subscription programs are awesome and what I call “try worthy.” One particular blogger caught my eye with her Love With Food Box review. The products looked fun and interesting. I love trying new foods and ingredients, plus how could I say no to a practically free box. I used a promo code that allowed me to get my first box for only $2. So at 2am I signed myself up and waited for my box to arrive. Love With Food is a discovery box that is chalked full of new organic, all-natural snacks for $12.00 per month. The best part about Love With Food is that for every box sold they will donate a meal to several food banks such as the Feeding America Network and Share Our Strength – No Kid Hungry. Join us to help end childhood hunger one meal at a time! It is a total win win, you get tasty snacks for your belly and you get to help put food in a hungry child’s belly. That is what sold me on Love With Food, I knew I needed to sign up and get the box so I to could help feed a hungry child. So what was in my Scary Delicious Love With Food Box? Why, that is an awesome question! Let’s find out! *Glee Gum – Triple Berry from Verve Inc.
*** Blueberry, apple, and purple carrot flavor, this has Sophia’s name written all over it. All in all this was a great box and I am glad that I signed up. A lot of the brands are new to me and I am excited to try the products. If you know me well you know that I am very big on healthy organic and natural food products, and that I am always in the market for a new favorite. This box is going to be like Christmas on my doorstep every month, I cannot wait for November’s box! I know you want a Love With Food Box of your very own. Helping feed America’s hungry children is a big job an together we have the power to end it. 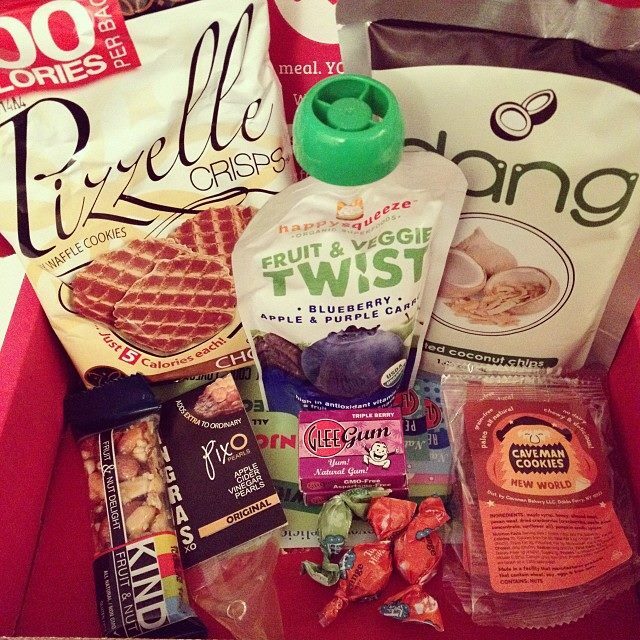 Every month you will get a box that includes 8 or more healthful snacks for as little as $10.00 per month. Each box or product bought on lovewithfood.com = one meal donated to a hungry child. To get your own box or to learn more please visit http://www.lovewithfood.com for more information.